Kimberly-Clark continues to break stigmas and barriers for its consumers through innovative campaigns like 'Let's Move On' – a recent Gold Effie Award-winning campaign led by Intimus® and KOTEX® in Latin America designed to challenge society's negative perceptions of periods.As leading feminine care brands that champion womens' progress, the Intimus and KOTEX brands continue to take steps to innovate our products to meet the needs of modern women while breaking period taboos. This year, Intimus and KOTEX introduced #SheCan – an evolution of the campaign to continue to push for progress. "Periods are part of being a woman. 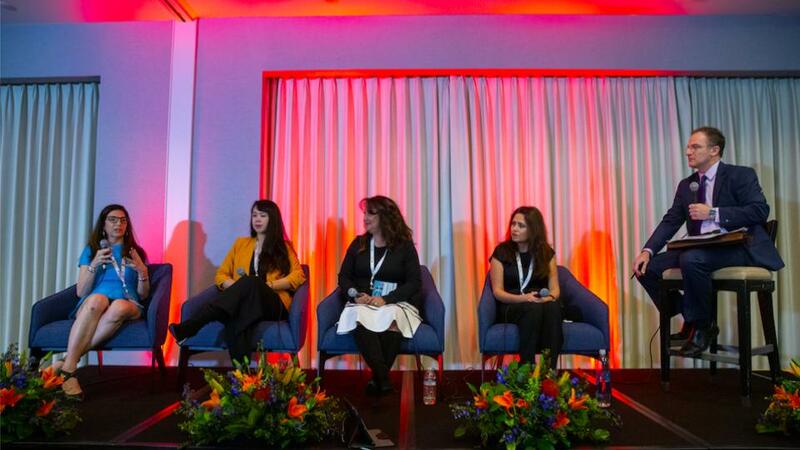 They do not define who we are or prevent us from achieving what we want in life," said Samia Chehab, Kimberly-Clark General Manager of Adult and Feminine Care in Latin America. "As a market leader, KOTEX has an obligation to shine a light on those stereotypes that shouldn't be alive anymore in today's society. It's our role to make it easier for future generations of women." Sigue Money Transfer (Sigue), a leading U.S. remittance company to Latin America, announced its service will be available in thousands of Mexico’s largest and most well-known chain of convenience stores, OXXO. The expansion to Sigue’s network is made in partnership with TransNetwork, a B2B fintech integrator and processor of payment solutions. Sigue customers can now conveniently send money to beneficiaries through more than 16,700 OXXO stores located across cities and towns in Mexico, as well as through a total of over 38,000 Sigue payment locations throughout Mexico. Santa Clara, California-based technology company Intel Corp. has appointed a Dentsu Aegis Network solution called "Team Intel" as its global media agency of record.The company´s new media team will handle digital, social, programmatic, search, offline media and analytics and will be staffed by people from the networks's shops including Carat, Merkle and Amnet. The team will work closely with creative agency McGarryBowen and Intel's other creative shops. Intel will continue to work with incumbents iProspect and Cardinal Path for search and digital marketing.OMD has been the incumbent since winning the brand´s media business back in 2008. The Team Intel relationship will handle hundreds of campaigns across more than 20 countries and the team will be located in regional hubs in Los Angeles, London, Singapore and Beijing, the holding company said in a statement.IntelCorp. spent an estimated US$86 million in the U.S. in 2017, according to Kantar Media. JetBlue announced a series of network changes that will advance its strategy in multiple focus cities. The reallocation of service will result in a new JetBlue city in Ecuador, new service between current JetBlue cities, and additional flights on popular routes. JetBlue will launch new service at Guayaquil, Ecuador’s José Joaquín de Olmedo International Airport (GYE) with flights from Fort Lauderdale-Hollywood International Airport (FLL) (a). Service will operate daily and is expected to take off in the first quarter of 2019. Guayaquil becomes the second JetBlue city in Ecuador – Quito launched in 2016 – and the sixth JetBlue city in South America overall. The new flights between Fort Lauderdale and Guayaquil expand JetBlue’s footprint outside the U.S., and is part of a broader reach into international markets. In recent years the airline has built a robust network throughout Latin America and the Caribbean and now operates in 22 countries. JetBlue is a leading airline in markets like Puerto Rico, Cuba and the Dominican Republic. The airline also serves more than a dozen unique island destinations throughout the Caribbean along with various cities in Mexico, Colombia, Costa Rica and Peru. Marriott International debuted a bold new media campaign showcasing the power of its independent hotel platform across the company's three collection brands: The Luxury Collection, Autograph Collection Hotels and Tribute Portfolio. Rolling out globally through the end of the year, the creative campaign reinforces the growing demand among today's consumers for the unique travel experiences found at Marriott International's global portfolio of 300 independent properties.Conceived, developed and produced by creative agency MATTE Projects collaboratively with the brands' marketing team, the campaign was inspired by the idea that everyone has a story - referring to the hotels themselves and guests who leave with a lasting impression. The collection category campaign was shot on 5 continents.Led with a :60 hero film, shorter executions will roll out across a variety of platforms ranging from in-flight entertainment and cinema theatres, to digital and social media - first in North America followed by Europe and Latin America through the end of 2018. Publicis Media has been awarded pharma giant GlaxoSmithKline US$1.7 billion global media assignment.The firm’s last global media review was in 2015 when it divided the assignment between incumbents Mediacom and Mindshare and Omnicom Media Group’s PHD.Publicis Media has created a dedicated agency unit for the account. GKS spends US$1.8 billion on advertising in 2017, per its annual report for that year. PHD handled the U.S. media work while GroupM shop Mindshare managed media in APAC and Latin America.